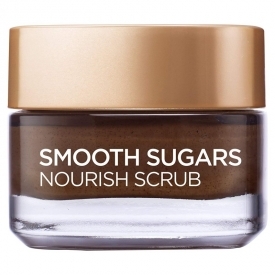 SMOOTH SUGARS NOURISH SCRUB SOFTENS SKIN AND SOOTHES DRYNESS. 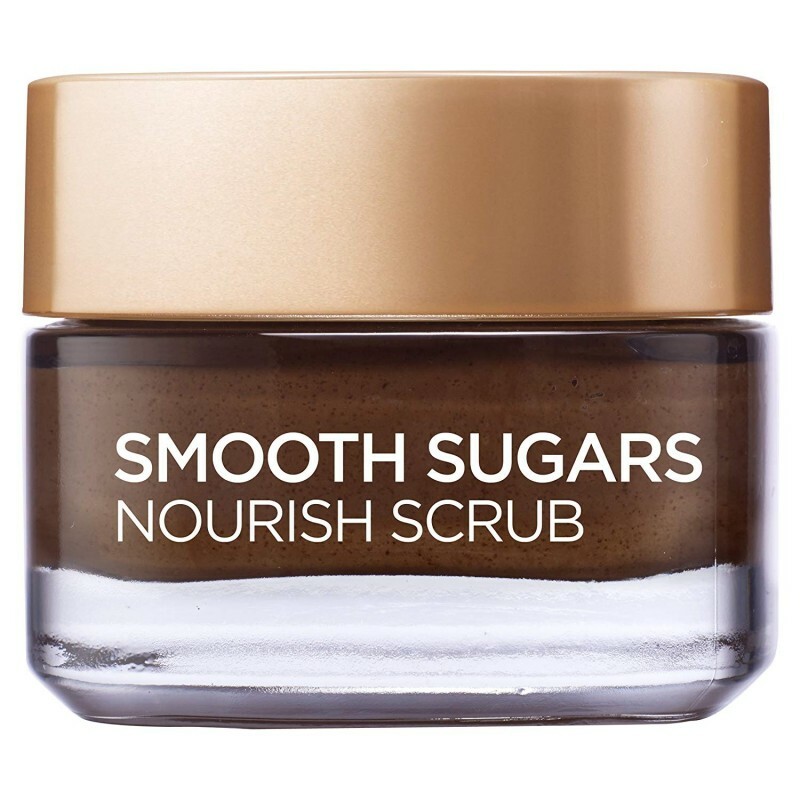 3 fine sugars in a caring scrub for instantly supple nourished skin, and lips. 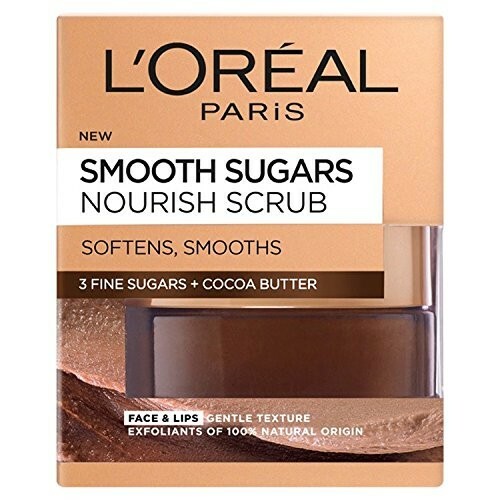 For the first time, the L’Oreal Paris Laboratories have selected 3 FINE SUGARS and combined them with COCOA BUTTER to instantly reveal supple, well nourished, baby-soft skin. 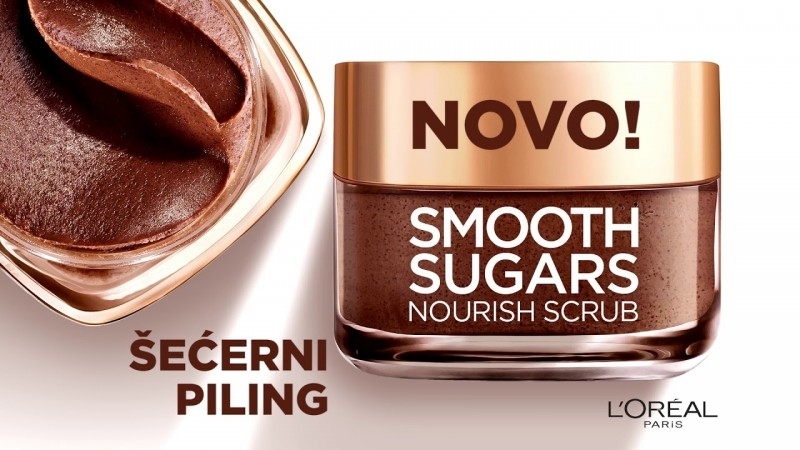 Use on face &amp;amp;amp;amp; lips. 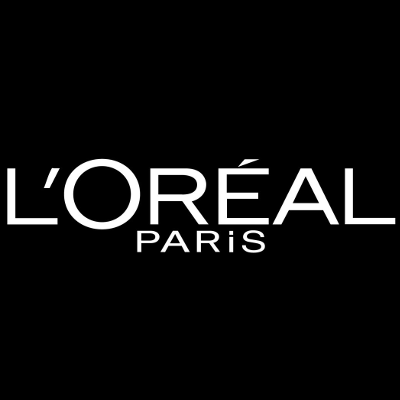 Caring and delicately scented, its buttery texture delivers a unique facial cleansing experience. Apply a small amount with dry fingers on clean, dry skin. 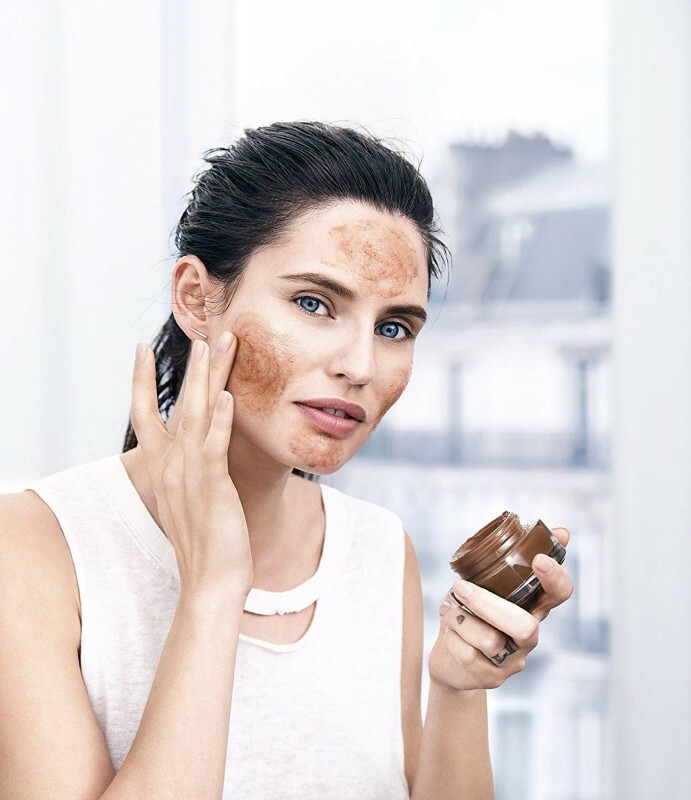 Add warm water and gently massage over your FACE in circular motions avoiding eye area. Once sugars have melted, rinse with warm water. Use 3 times a week. Also works on LIPS to smooth and refine the lip line, improving the wear of lipstick and lip gloss. 782785 65, Isopropyl Palmitate, Sucrose, C10-18 Triglycerides, Synthetic Wax, Glyceryl Stearate, Trihydroxystearin, Glycine Soja Oil / Soybean Oil, PEG-7 Glyceryl Cocoate, Perlite, Prunus Armeniaca Kernel Oil / Apricot Kernel Oil, Cera Alba / Beeswax, Rosmarinus Officinalis Extract / Rosemary Extract, Theobroma Grandiflorum Seed Powder, Saccharide Hydrolysate, Glycerin, Helianthus Annuus Seed Oil / Sunflower Seed Oil, Silica Silylate, Cocos Nucifera Oil / Coconut Oil, Theobroma Cacao Seed Butter / Cocoa Seed Butter, Caprylyl Glycol, Tocopherol, Pentaerythrityl Tetra-Di-T-Butyl Hydroxyhydrocinnamate, Phenoxyethanol, CI 77491, CI 77492, CI 77499 / Iron Oxides, Caramel, Linalool, Coumarin, Limonene, Parfum / Fragrance, (F.I.L. B215114/1). 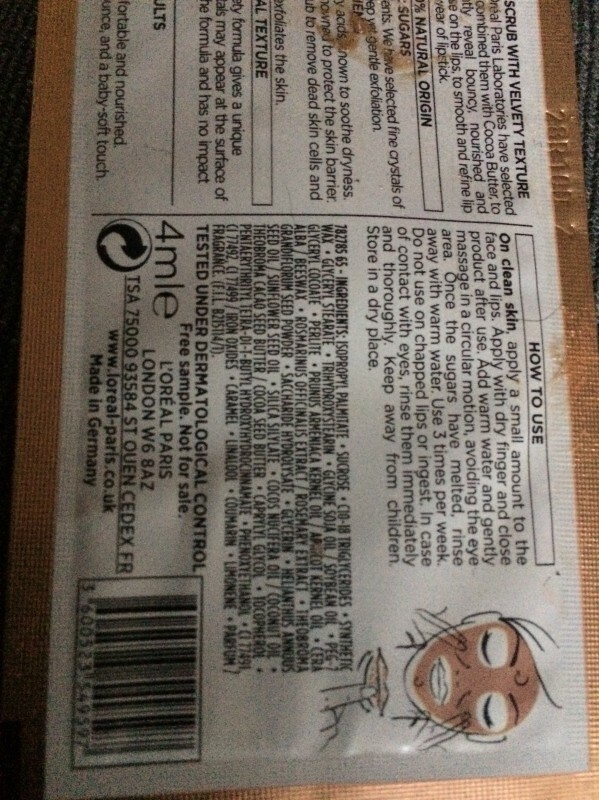 This has helped me improve my dry and flaky lips and improved my complexion on my skin, i use this manly twice a week on my face so that i know my face is free from dead skin cells and 3 times a week on my lips so that my lips feel more smooth and soft like velvet and it also does a wonderful job so much that i apply lipstick so effortlessly without it seeking into dead skin on my lips. Really works on my lips. Price point for the amount given. Used this mainly on my lips. Very effective in removing dead skin cells from lips which occurred frequently for me (sigh... ). Apply a lip balm after ward and lips feel smooth and scented for the day. This is a very gentle scrub with lots of oils and butters and sugar as the scrubbing agent. It smells nice but is not very exfoliating.